My donut pan is my new favorite way to bake. 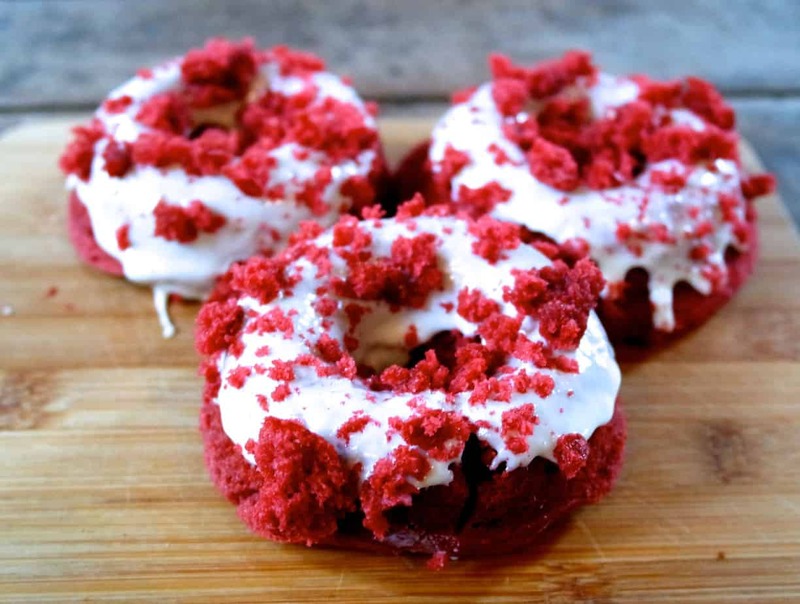 This recipe for baked red velvet donuts will easily become a favorite. The red velvet is rich and moist. 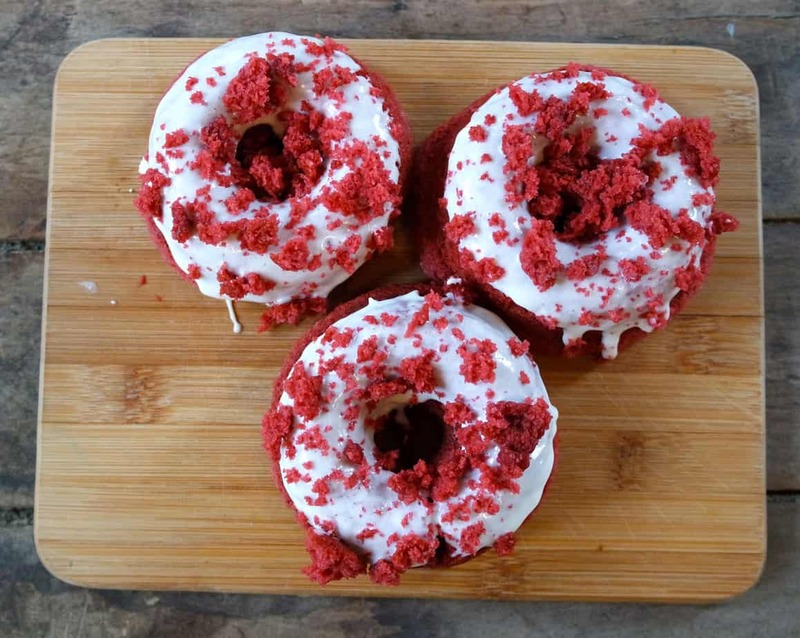 You can top with just the frosting or crumble one donut and put the crumbs on top of the frosting for an even more decadent tasting donut. 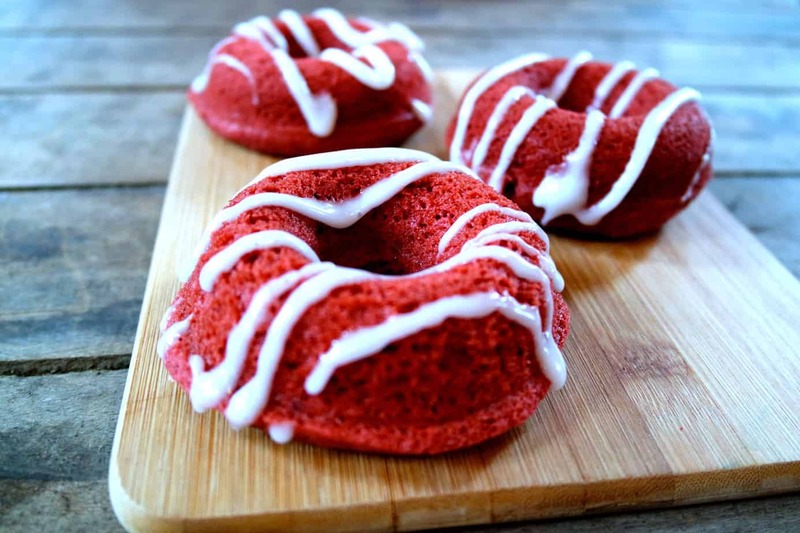 These baked red velvet donuts are easy to make- one bowl. My husband ate three of them in one day that is how good they are. If you have not bought a donut pan yet- be sure to, they are not expensive and the results are amazing and so much less fat than a fried donut! The possibilities are endless. Spray a donut pan with baking spray. 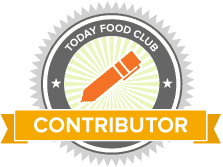 In an electric mixer bowl, add all the wet ingredient and combine. Next add the dry ingredients to the mixing bowl and combine for about 2 minutes. Scraping down the sides of the bowl every 30 seconds. Pour into prepared pan, about 3/4 full. Bake 10 minutes- let cool in the pans for about 5 minutes before transferring to wire rack. Cool completely before frosting if desired. For the frosting – combine all the ingredients fully until smooth.Drizzle or dip the tops of each donuts in the icing.